Any person can claim income tax deduction under section 80G for the amount donated to funds or charitable institutions as specified under this section (i.e. section 80G of IT act). To understand section 80G of IT act we have divided types of donation in to two parts. For “Type I” donations we need not do any calculation. If we have donated to a fund that is coming under “Type I” donation list then we need to take 100% or 50% of the donated amount as IT deduction under section 80G of IT act. If you donated to a fund or charitable institution and that fund or charitable institution is coming under “Type II” donation list then follow the steps as mentioned there for calculating tax deduction under section 80G of IT act. If any one has donated to following funds during the financial year then they can claim 100% income tax deduction under section 80G of IT act on the amount donated. Zila Saksharta Samitis constituted for the purpose of improvement of primary education in villages and towns and for literacy and post literacy activities..
National Blood Transfusion Council or a State Blood Transfusion Council. The Army Central Welfare Fund or the Indian Naval Benevolent Fund or The Air Force Central Welfare Fund established by the armed forces of the union for the welfare of the past and present members of such forces or their dependants. Any donation to the following funds will be eligible for income tax deduction under section 80G of IT act up to 50% of the donated amount. For certain donations, IT deduction under section 80G will be restricted up to 10% of the adjusted gross total income. Under this we have two sets of deductions. Donation to few funds are to be taken @100% of the donated amount and for some other donations only 50% has to be considered. For following donations we have to consider 100% of the donated amount subject to 10% of the adjusted gross total income as income tax deduction under section 80G of IT act. Indian Olympic Association or other association or institution established in India for the development of infrastructure for sports and games or for sponsorship of sports and games in India as notified by government in the official gazette. Donations to the Government or a local authority or approved institution or association for the promoting family planning. For following donations we have to consider 50% of the donated amount subject to 10% of the adjusted gross total income as income tax deduction for section 80G of IT act. Renovation of notified temple, mosque, church or gurudwara or any other notified place of national importance. Corporation established by government for promoting interest of scheduled caste or schedule tribe or backward class. Any approved public trust or institution. We have to follow following steps to calculate income tax deduction under section 80G of IT act for type II donations. Step 1: calculate adjusted gross total income after deducting IT deductions available u/s 80C to 80U except IT deduction under section 80G, long term capital gain if any, short term capital gain on listed securities if any. Maximum amount that can be claimed as an IT deduction under section 80G of income tax is lower of step 2 or step 3. Donation in kind will not be eligible for income tax deduction under section 80G of income tax act. Amount in excess of Rs. 10, 000 has to be compulsorily paid in any mode other than cash. If it is paid in cash then it will not be eligible for income tax deduction under section 80G. Amount lower then Rs. 10, 000 or equal to Rs. 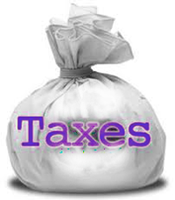 10, 000 can be donated in cash to claim income tax deduction under section 80G. Any expenditure not exceeding 5% of the total income in the case of any institution or fund will be eligible for deduction under section 80G of income tax act. For eg : If i have donated in May 9000, in august againg 9000 and in dec again 9000, so will I be able to get tax benefit for this 27000 ???? I have paid the fees of a boy who is in college who is a friend’s nephew. Can I get any tax exemption for the same?